The ultimate lads day out! Racing and Lazer with the Groom to be! Welcome to Game Over Queenstown – The ultimate place for indoor entertainment, with our range of activities and attractions there’s something for everyone. Located at Remarkables Park, Frankton and only minutes from Queenstown Airport. 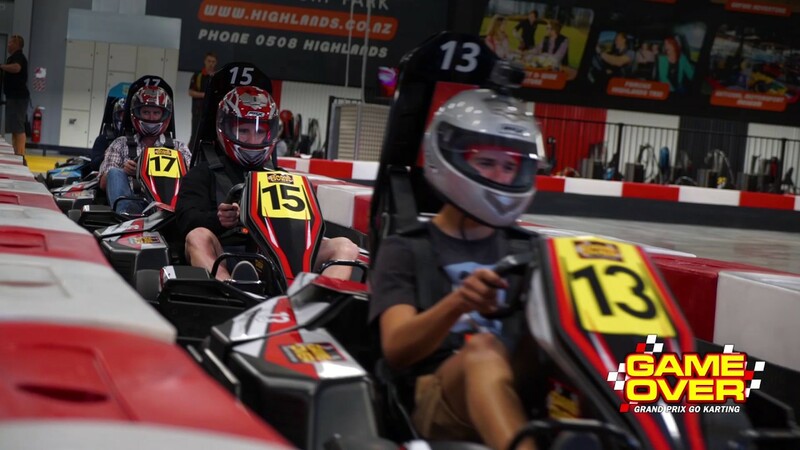 We offer a Grand Prix Indoor Karting track, action packed Lazer Tag, Lazer Web Maze, Vitual Sports Simulator and a selection of arcade games. Game Over Queenstown, the ultimate place for karting, lazer tag and indoor entertainment. For an exciting experience like nothing else, visit Game Over Queenstown. Open 7 days from 10am – Whatever the weather!